Conservative talk radio host and scholar Mark Levin called in to Breitbart News Sunday and blasted “criminal politicians” on both sides of the aisle who keep praising illegal immigrants. 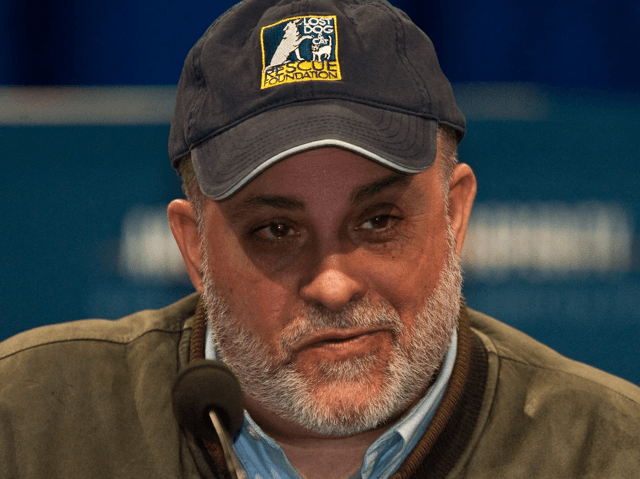 Levin emphatically stressed that Republican voters must reject presidential candidates who will not block the left from enacting their radical goals. Levin, whose new book Plunder and Deceit will be published next month, told host and Breitbart News Executive Chairman Stephen K. Bannon in a wide-ranging interview that conservatives “cannot accept” in this election cycle any candidate who “just wants to get along, show that they can manage” America’s decline. “We want to elect the most conservative person we can, not [someone] who’s going to support Common Core, who’s going to tell us we have to figure out how to get around the base,” Levin said, in reference to Jeb Bush’s remarks about the need to “lose the primary to win the general” election. 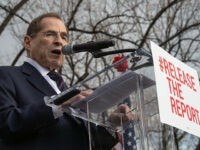 Trump is resonating with Americans, especially the so-called “silent majority,” by speaking bluntly about illegal immigration, and Levin also had some politically incorrect points to make on the subject. 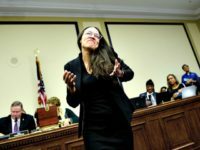 While listening to Breitbart News Sunday, Levin said he was particularly bothered by the claim—made by politicians on both sides of the aisle—that there are so many so-called “jobs that Americans will not do.” Levin mentioned that, according to the Census, 73% of janitors are American citizens, as are 51% of maids and housekeepers, 58%of taxi drivers, 64% of landscapers, 66% of construction workers, and 72% of bellhops, porters, and concierges. “I wanted to mention these jobs because the majority of these manual labor jobs are done by American citizens, and there’d be more but for the fact that the entire pay structure is undermined by the criminals who come into the country and the criminals who hire them and the criminal politicians who keep praising them,” Levin said. The talk radio host said conservatives need to be as “aggressive on our side as Obama is on their side” and “take our message, principles to everybody in the country.” He said a candidate who can “articulate our position, who can expose the other side for killing jobs” and explain how the left is “destroying the future for our children and grandchildren” would give Republicans “a fighting chance.” If Republicans nominate a conservative with those qualities, it would be the first time that many Americans get a chance to vote for a true conservative for president. But such a candidate will first have to defeat the GOP establishment that often attacks conservatives more than Democrats. Levin continued to blast today’s Republican party for not being a “free-market capitalist party” and likened the GOP to the Whigs. He mentioned that in contrast to Reagan, who had 78 vetoes or pocket vetoes, Obama has only vetoed four bills, which means the Republican Congress has not sent him a budget or bills related to immigration or Obamacare that Obama did not like. Explaining how difficult it is to make government more limited and enact reforms, Levin noted that the “federal government is not going to reform itself even if we send the most conservative president,” especially since “One Supreme Court justice can turn the country on its head–and they do it constantly now.” He also said the “massive” and “rogue” federal bureaucracy issues 3,000-6,000 regulations a year, which means thousands of new laws. In addition, Levin said, “Separations of power are meaningless” because “Congress passes bills that are so long they don’t even read them.” Levin also brought up the fact that Obama is using his powers to nationalize millions of acres, “taking them from states and individuals,” by designating them as monuments. Levin mentioned that the trustees of Social Security, Medicaid, and Medicare send letters every year to remind politicians, especially the President of the Senate (Vice President Joe Biden), telling them that “this is unsustainable.” He pointed out, for instance, that the disability insurance for Social Security is set to go bankrupt next year. “I think it is going to have to get so bad that people are finally going to turn to what the Framers gave us in the Constitution—(Article V convention of the states)—but it may be too late at that point,” Levin said. “We need to become more aggressive both in language [and] in our conduct,” Levin said. He said he calls for a “new civil rights movement” in his book and chided the left for declaring that “everything they want”—even more big government and redistribution of wealth—is a civil right.